The provincial government of Bulacan has activated “Operation Listo,” the Department of Interior and Local Government’s (DILG) protocols for disaster response and monitoring. The program consists of disaster preparedness manuals that contains procedures on the courses of actions that need to be done by the local chief executives before, during and after the occurrence of disasters and calamities in their respective areas or communities. PDRRMC Operation Center regularly receives updates and observations from rain gauges and water levels of Angat, Ipo and Bustos dams and other areas, said Acting Governor Daniel R. Fernando. As of July 18, PDRRMC reported that the damage to agriculture in the province due to weather disturbance has reached P23 million. 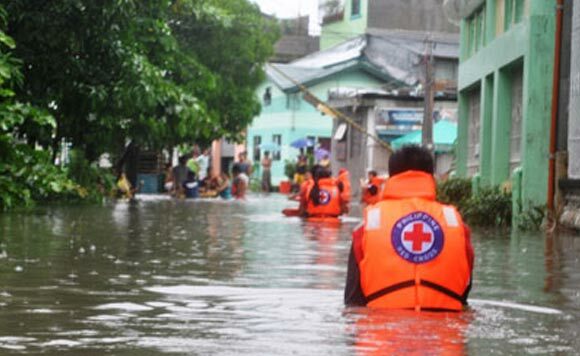 The Provincial Health Office-Public Health has distributed Doxycycline and ointment to flooded areas in Hagonoy, Marilao, Obando and City of Meycauayan to prevent the residents from acquiring leptospirosis. Tags: Department of Interior and Local Government), Provincial Disaster Risk Reduction and Management Council, provincial government of Bulacan, Tropical Depression "Inday", Tropical Storm "Henry"